This super cute baby club member was back for his little sitter session. 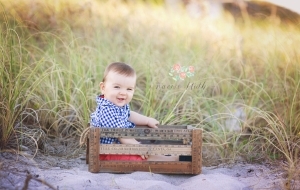 We had such fun at this beach session. Boy does time fly!